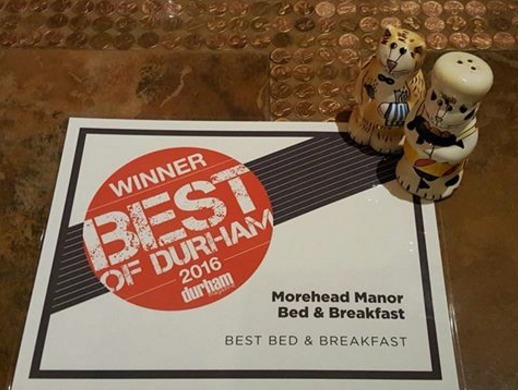 Morehead Manor named “Best Durham Bed and Breakfast” in 2016 by Durham Magazine. This is such an honor to have earned this recognition from our local Durham community. We feel the love and extend warm Southern hospitality to our guests. 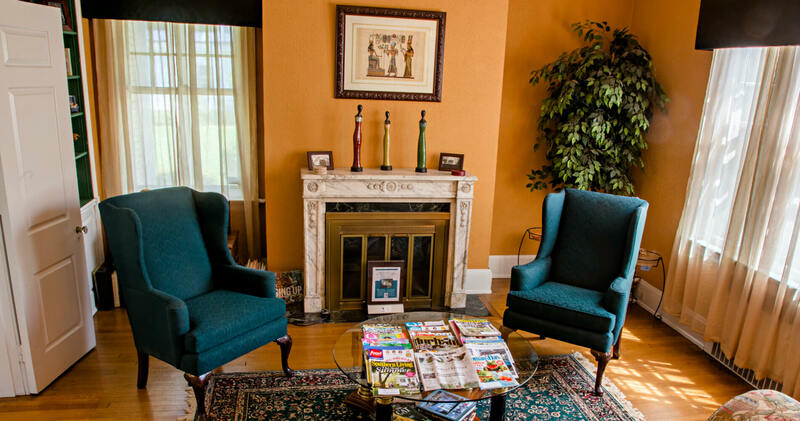 In addition to our awesome location, guests of Morehead Manor Bed and Breakfast enjoy luxurious accommodations and wake up to fresh gourmet breakfasts each morning. We welcome with open arms both new guests as well as returning guests. This entry was posted in Uncategorized and tagged Best Durham Bed and Breakfast, community, Duke, Durham Bulls, Durham Magazine, healthcare, Morehead Manor, musicians, shopping, Southern hospitality by admin. Bookmark the permalink.